It was on a bright, clear and sunny October 14, 1066 that Duke William of Normandy set sail across the English Channel to beat King Harold and his Saxon soldiers in the Battle of Hastings, and for some obscure reason that disastrous and unmitigated defeat is still celebrated each year, writes Keith Rhodes. However on Saturday, October 14 this year it was South Eastern section Vintage Motor Cycle Club member Simon Starmore who ended up victorious at the very first Hastings Vintage & Classic Bike Show when his Brough Superior took the ‘Most Favourite of the Day’ award. This old AA sidecar patrol machine brought back many warm memories. Cycle Club, BSA Owners’ Club and local tradesmen. One of the oldest machines, if not the oldest, was a beautifully turned-out New Imperial sporting a single-seat wicker sidecar and its equally well turned-out owners Dennis and Christine Etherington. The event was a ‘first’ for the town, and with luck there will be another such gathering next year. 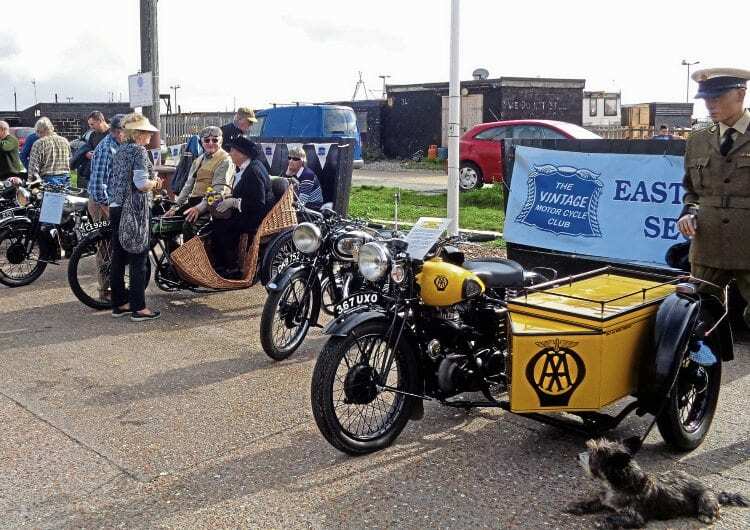 Over the years, that special event marking the 900th anniversary of the Battle of Hastings in 1966 has grown into a week-long celebration of all things Hastings, including music, culture, art and sport – and now it even embraces vintage and classic motorcycles! Read more News and Features in November’s issue of OBM – on sale now!